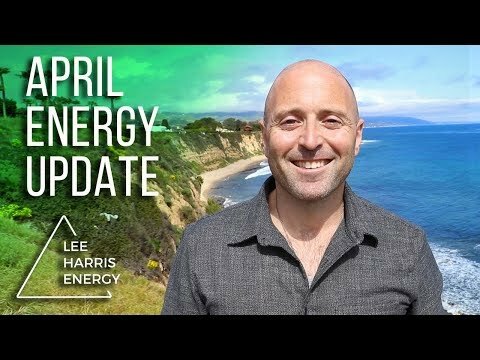 Hello and welcome to the September Energy Forecast. It has been two months since I did a forecast and I'm not kidding - I can't remember how to do these forecasts! I’m going to get there, don't worry. But I’m sharing that because I think that this is a common theme for many at the moment with something that they either haven’t done for a couple of months or even a couple of days. Memory and getting back to 'where you were' are seeming more distant than ever before for many people, because things are hurtling ahead at such a rate; both personally and also collectively. So today, (Lee points behind him to a lake) we have this amazing body of water behind me, because we need some water energy at the moment. It's very fiery on the planet and it’s fiery within the collective. The energetics are strong and fire is the element. It seems to be that 60% of the time, energies are strong and pushing forward and then they retract the other 40% of the time. So many of you will be finding the world a little chaotic right now (understandably). This is especially true given everything we are now examining on a world level: Conflict, War, Power, Society, Societal leadership and Authority. All of these themes are coming up on a world scale. So whenever anything is going on a world scale, it's affecting everybody personally too so you can translate these themes to the personal also. Take it from the macro to the micro. Many of the comments I'm hearing from people, and the experiences that people seem to be having are confusion, wanting to completely change the way they’re living their life and let go of any shackles/restrictions they feel. Wanting to do something very different, feeling lethargy, less energy than you usually have to do the 'stuff of life' - especially grounded aspects. Many people are having more trouble doing grounded, detail-based work versus more energetic, creative, expansive work. If you look at what's going on in the world, we have very old systems of power currently being abusive, and the abuse being questioned by other countries. Then you can also look at what's going on in governmental opinion - what’s abusive to another country and what’s helpful. This is the argument that is going on right now. And so what you have to ask yourself is, when anyone is going to take authority over another being or country; what are of the motives? Are the motives completely clean and they are going in to help elevate things and the elevation is what will take place? So there are so many questions. And if you had 10 people sitting around the dinner table right now, there would be 10 very different opinions about what's going on in the world and what should be happening. This is why the mind is proving itself to be a tricky place to hang out right now, when in contact or communication with others - also when with yourself. If you're alone and you're reflecting on things, it won't always mentally make a lot of sense. I've said this for a few months, that things either won't make a lot of sense anymore if you try and work them out too hard, or if you find yourself going round and round in circles. This is due to the emotional pain or constriction that is underneath those mental thoughts that just keep circling. Until you deal with that, the thoughts are just going to keep going round in a dead end circle. I've used before the metaphor of a wine bottle. If you think of a wine bottle, the neck of the bottle at the top when the cork resides is like our mind in its relative size. The body is wider and a lot longer. So you have this incredible being that you are, with all of these feelings that you have carried through your life, developed and changed through your life and then, added to that (and on a daily basis), you are being affected by everyone around you and the sea of energy that we create as a society. Add to this the sea of energy that comes from the Earth itself, and you see how we’re all in a constant energy relationship. So Chaos is speaking louder at the moment. It means you will find people coming up to you and being a bit more headless, and that's okay. You don’t have to get angry at them; you just have to know how to deal with it for yourself. So really check how people are coming up to you at the moment. Because a lot of people, when they are confused or desperate, will be running a lot of energy out of their own body if they haven't yet figured out how to resolve it or feel it in their body. And this is understandable as we will also be going through it ourselves, in our own way at different times. So the sensitive among you who may have hermited yourselves away at the moment, you will find that just keeping a real eye on the balance in the energies around you and how you interact with or respond to those energies is going to be very important. So let's take it away from the personal for a second and go macro. I intend for peace, grace and ease on Earth at this time. Us doing that has an effect. It will have an effect on the Earth and the planet because you've set that intention that’s going to emanate from yourself. It will have an effect on what you're doing and what happens. It really is time for change. We love to talk about change. We go, “Oh yes, change would be nice.” And we like to plan and sometimes even make a list. But do we actually step into change? 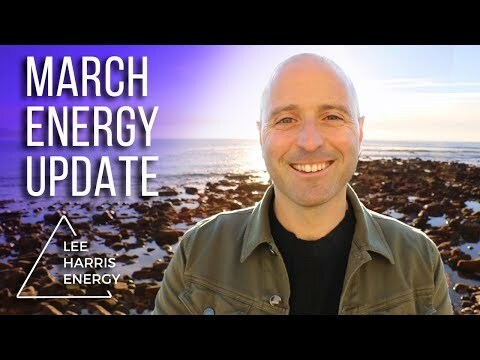 I've talked over the last few months’ worth of energy forecasts about the rise of intimacy, the rise of connection in our world. And as these structures and forms we were held in; our jobs, our relationships, our ideas of what we thought marriage was, what we thought a friendship was, who we thought we were, are changing, so too is it allowing you to be more present and more intimate in your life. And as people are doing that, of course, there is a lot that may move through you; guilt, shame, fear of hurting other people, as you take steps to put yourself into a position feels better to you more of the time than you are used to. There can sometimes be a sense of "I’m letting this or that person down". I would argue you're letting people down by being present with them and not being fully present. And that comes from someone who can cite many examples where I've done that in the past with people. So I’m not judging you and I'm not judging me and I'm not judging any of us. I'm just saying that actually the new paradigm for people is how we want to live in a truer, more connected way. This is a really crucial time in Earth's history in terms of how do we, or do we transition as a people into this new world. So there are two things that come up for me personally there. There is the personal responsibility around the world situation and how much of my time am I putting to that, and then there is also trying to remember that we are just simple human beings who have arrived here for the experience that were having - and we never know what's coming tomorrow, so live today to the best of your ability. Because the more you can live from and exude that energy in the world, the more you will feel centered and the more you will actually be able to flow through life and make a difference. All very naturally from inside yourself, without forcing anything, without fighting anyone. There is a lot of fight out there right now. So, some of you will be using this time and it's energies to resolve past conflict energies in yourself. You might be having remorse about the past conflicts you've had. You might reach out to a person you haven't spoken to for years to make peace. Conflict is under the microscope. So if you aren't dealing with it in the outer world and you're staying very alone, be aware you will still be processing that energy as it moves across the planet as a focal point. And if you are going through lots of conflict experiences in yourself, focus on things that bring you peace and expansion. It's not avoidance to do this. It can elevate your whole experience. It's also important to remember that if you feel stuck and going round on a mind loop when you aren't in community (when you're isolated), you don't run energy in quite the same way as you do as if you're among people. This can be great for bringing you back to center and balance, but if you are sensitive and experience the world energetically (and that's why you have retreated), don't forget that this stuff comes through our walls; it comes from under the Earth. We have an illusionary belief that when we shut away in our room we are shut away from the rest of the planet, and of course we’re not. We’re on the ground with walls around us and everything outside those walls. So make peace with yourself this month. Find those areas in you that you are not at peace with. Whether it's that you haven't made changes you want to make or whether it is that you're judging yourself, make peace with those areas and see what you can do to bring change to them. Finally, whenever there are death or destruction energies threatening or strongly around you (as there are on our planet now) there is always the counterbalance of an enormous life/birth energy. This is the wheel of life and how it works. 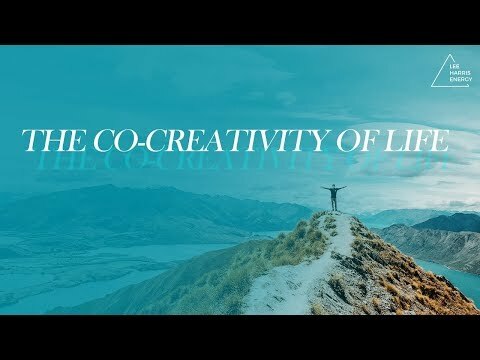 So a great many of you will feel a real surge around creativity and passion that you maybe haven't felt in a while, and also by retreating somewhat from the chaos out there, you will find the space to be creatively productive. Whether that creation is something you are doing to help the environment, whether that creation is your family, or something you are doing to help people grow, entertain people, it doesn't matter - if you're bringing life to yourself and others through your body, you bring life to the planet now, which helps balance everything at the moment. So lots of love everybody. I hope you have a great month and I'll be back with the forecast in October. And for those of you who wish to keep up with more of what I do, The Portal is a membership club that we launched a few months ago. It's been a fantastic experience for me and the team and also for the people who are in there. I do a live Q and A broadcast every month too, where I answer questions live, plus members get not only my latest recording - which this month is “Intuition and You” from England and Manchester which I did in July - but also the work of other experts and a whole forum to speak and share your ideas and your experiences in. So hope to see some of you in there and otherwise I will see all of you in October.